Just thinking of Erin Nicholas brings out a chuckle in me…. always. Her books are just delicious, delectable and edible (it that is possible!!!). All her stories have unbreakable friendship, unconditional support, witty banter that rolls off the dialogues and intense love and passion that literally jumps off the pages. The final book in the series “Counting On Love” is a an absolutely perfect ending as Connor Dixon is upped by Gabrielle Evans in more ways than five. Connor the ultimate charmer and lover, protective brother and a supportive friend finally gets knocked sideways once he realizes Gabby, his teammate, his friend, his comrade is actually a woman with all the assets!!! Gabby’s been in love with Connor for a long time, but the boundaries of working together have always stopped her from acting on her desire. But now when her apartment burns down, she ends up sharing Connor’s home and the game of lust begins and ends with Connor losing his heart and soul to Gabby. Gabby and Connor are just one of the most amazing couples of Erin’s creation. Full of warmth and care, both coming from larger families, always putting others ahead of their needs, these two are just made for each other. Independent Gabby realizes that she needs Connor dote on her to death and Connor finally lets his heart do the talking as he finally accepts that fact that he doesn’t have to fix everything. The secondary characters are just as wonderful to re-visit, the dialogue between them is just as masterful and witty, the strength of friendship and family values can easily be felt through every relationship. 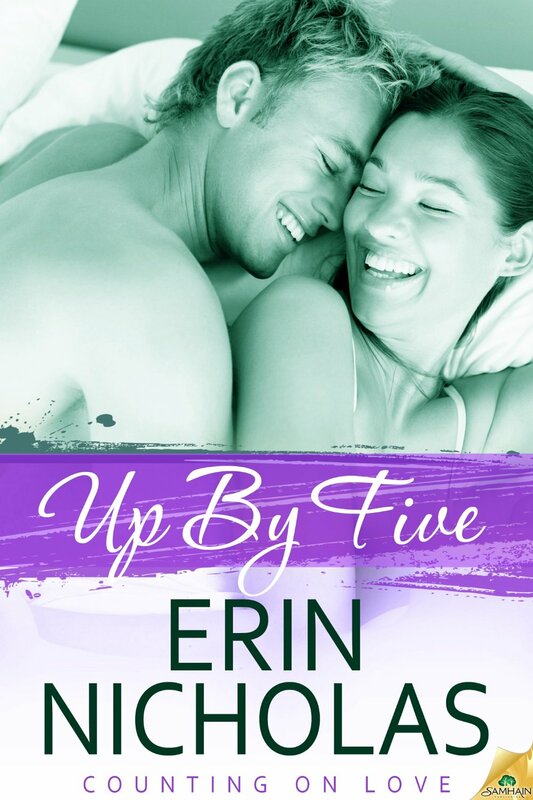 All in all “Up By Five” is an enticing and magnetic story and I didn’t expect any less from Erin Nicholas. « Still The One – Jill Shalvis!! !